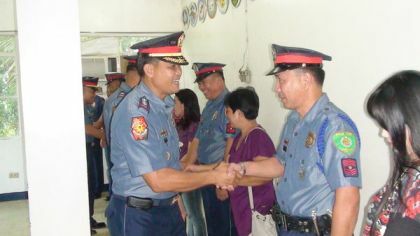 TANDAG CITY, Surigao del Sur, Jan. 18 (PIA) -- Chief of Police Insp. Greggie Pimentel wants a thorough investigation into the alleged carnapping case that happened here. An already impounded Hyundai Elantra in the Tandag City Police Station was turned over to the Highway Patrol Group (HPG) Provincial Highway Team (PHT) after the conduct of a Technical Inspection and Inventory Report (TIIR) on January 13. The said vehicle was then brought to Caraga Highway Patrol Regional Office on the same day. Before the initial verification with the HPG, Pimentel did not have any slight suspicion that it was a "hot car." The car was driven by a certain Rommel Polo of Bula, General Santos City and was owned by a certain Isidro Lozada. Recovered from inside the car during the TIIR were items belonging to Lozada and an Identification Card (ID) bearing his name as Researcher of National Capital Region (NCR) Criminal Investigation and Detection Unit (CIDU).